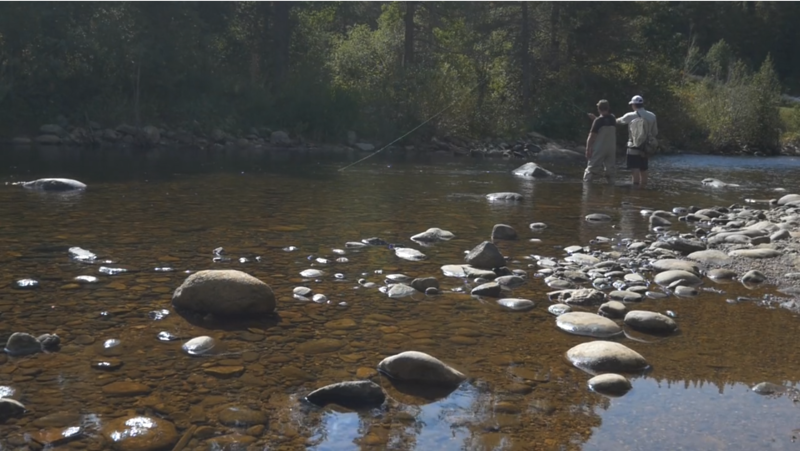 Dedicated to sharing world class, therapeutic fly fishing experiences with military service personnel, individuals with physical disabilities and their families. 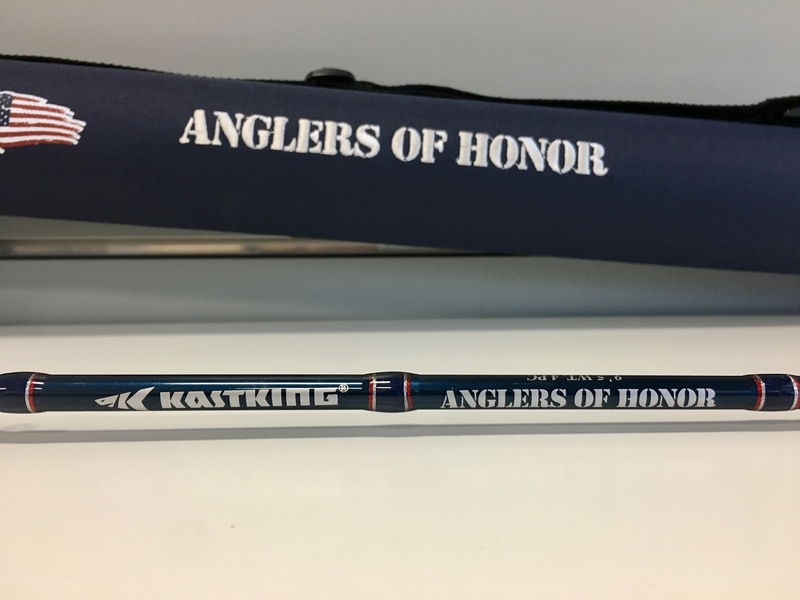 Anglers of Honor was founded by Robert F. Smith and Matthew Burkett, two entrepreneurs with the ability to vision a future of what was invisible to others. 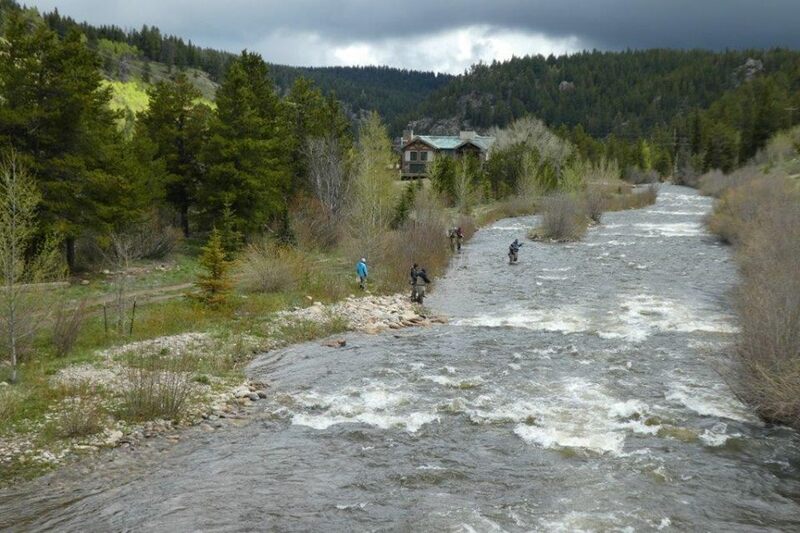 Based in Colorado, Anglers of Honor is a charitable organization that strives to make therapeutic fly fishing opportunities available to individuals with physical disabilities and their families. 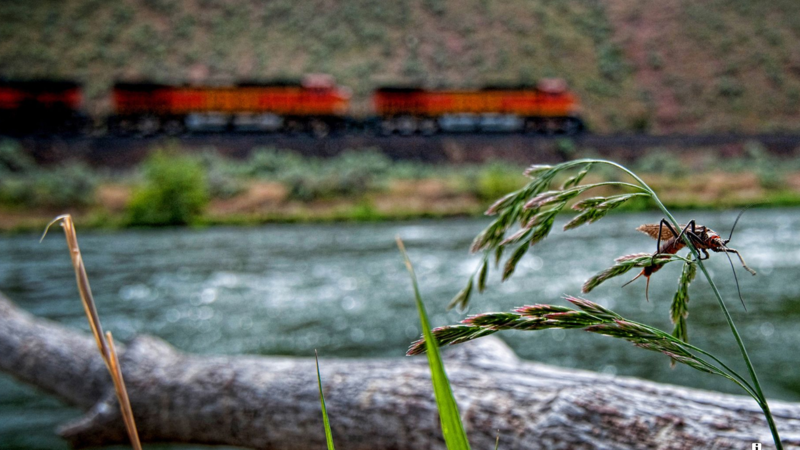 We aim to fulfill our mission through preservation efforts and unique programming all across the front range. With over 45,000 soldiers injured in Iraq and Afghanistan during the last decade, some families and communities are struggling to cope with the severe emotional and physical injuries sustained by our dedicated servicemen and servicewomen. Life can be uniquely difficulty for these veterans. 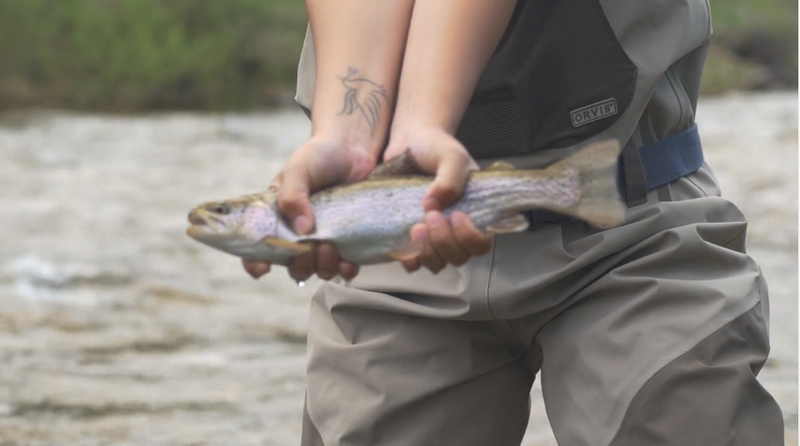 Fly fishing has proven to be an incredibly therapeutic tool in restoring physical function and recreating lives, and Anglers of Honor is humbled to assist in the process. Anglers of Honor works directly with veterans with disabilities and their families to aid in their recovery and acclimation to life after active duty. 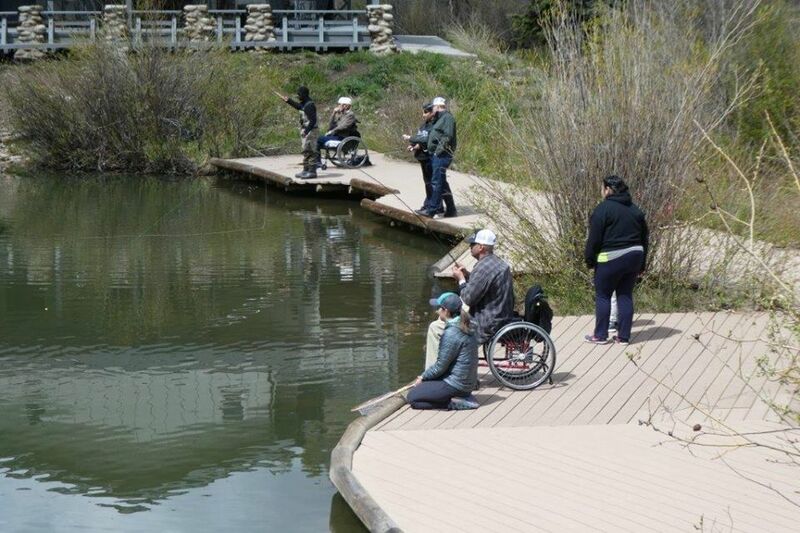 We also work with individuals suffering from spinal cord and traumatic brain injury to provide accessible and therapeutic fishing opportunities. 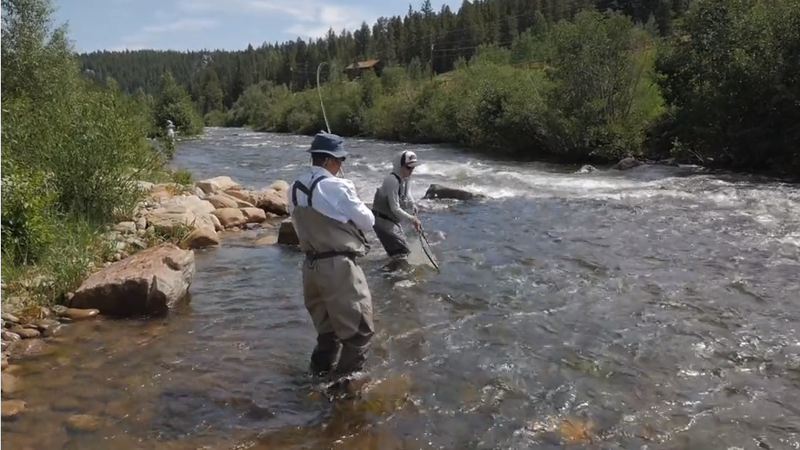 Through the Anglers of Honor program, participants and their families learn the basics of fly fishing which they get to put to immediate use on premier private fly fishing water, restored to allow access for individuals with disabilities. 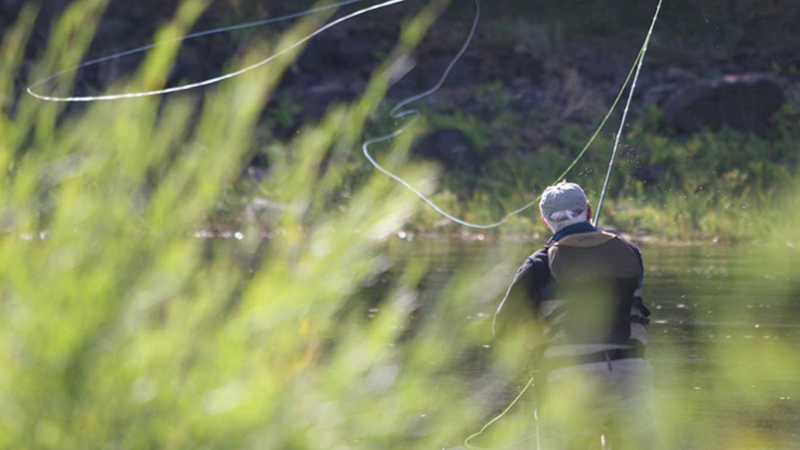 2019 dates for Anglers of Honor Events at Lincoln Hills are May 12, June 15, July 13, August 10, September 21, and October 5. 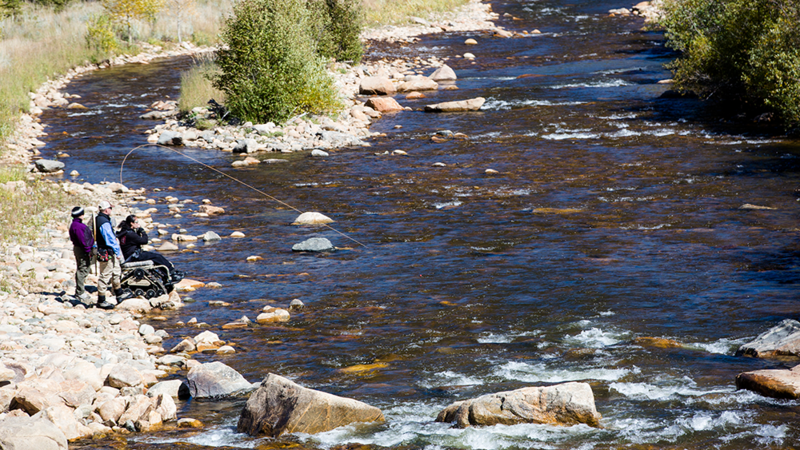 J.R. is an outdoor enthusiast and enjoys skiing, camping fishing and hiking. He has worked with other non-profit organizations in building capacity for participants and developing programming. 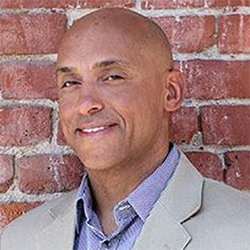 He earned a Master's Degree in Sports & Recreation Management from Northeastern University. 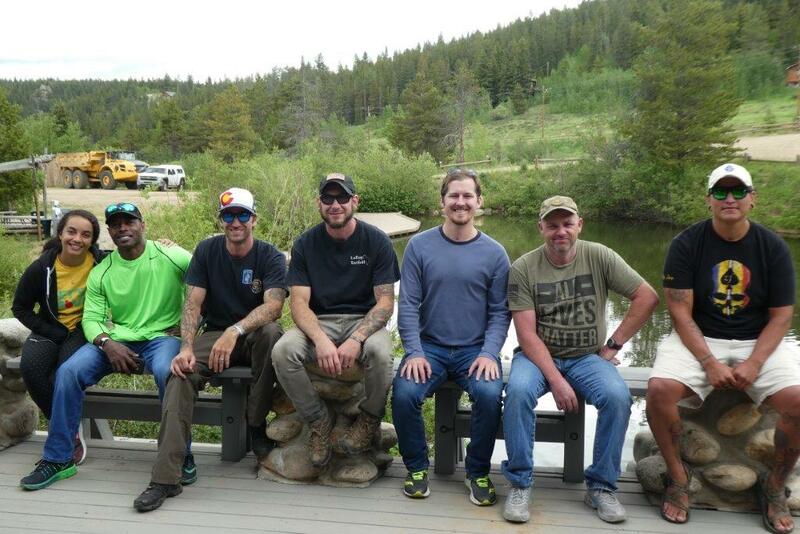 Over the last 15 years Bob Adwar has help organize almost 300 outdoor adventures including Pheasant, Duck, Big Game Hunts and Fly Fishing outings for wounded war veterans and others with severe injuries. He began his involvement working with patients and alumni of Craig Hospital—one of the best in the country for treating Spinal Cord and TBI injuries—while serving on their board. 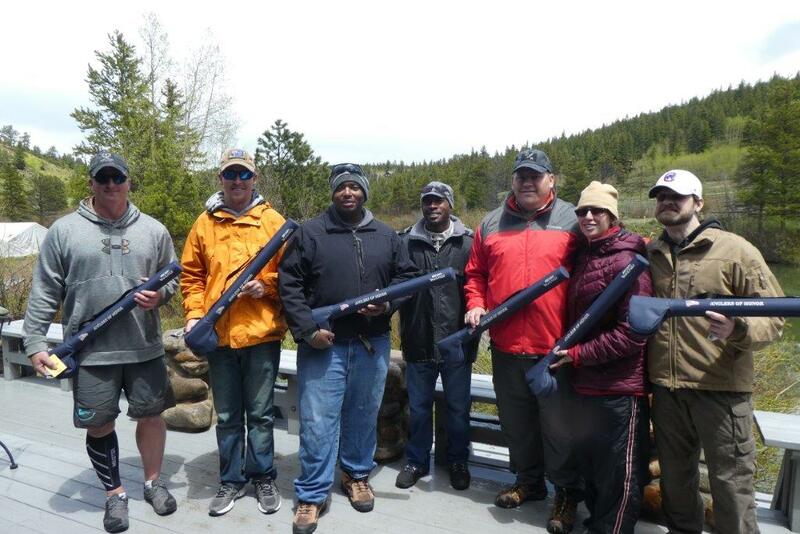 During his service on the Board of Directors for Safari Club he expanded the outings to include wounded veterans from Operation TBI Freedom and Freedom Hunters and also serve on their advisory committees. 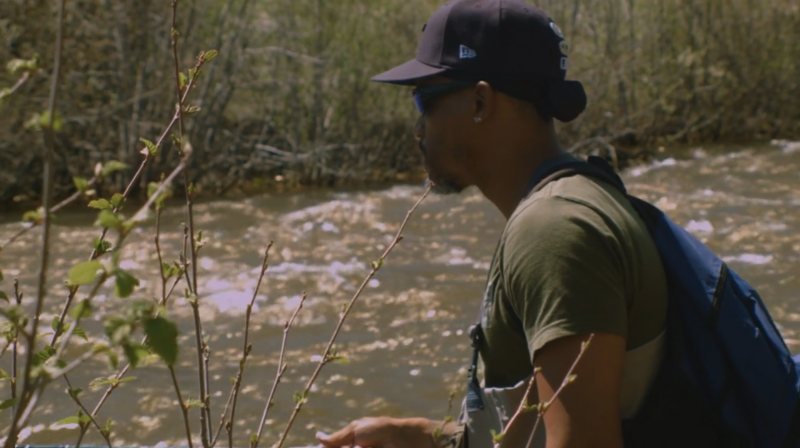 As a Colorado native, Ethan fell in love with the outdoors and natural sciences at a young age. 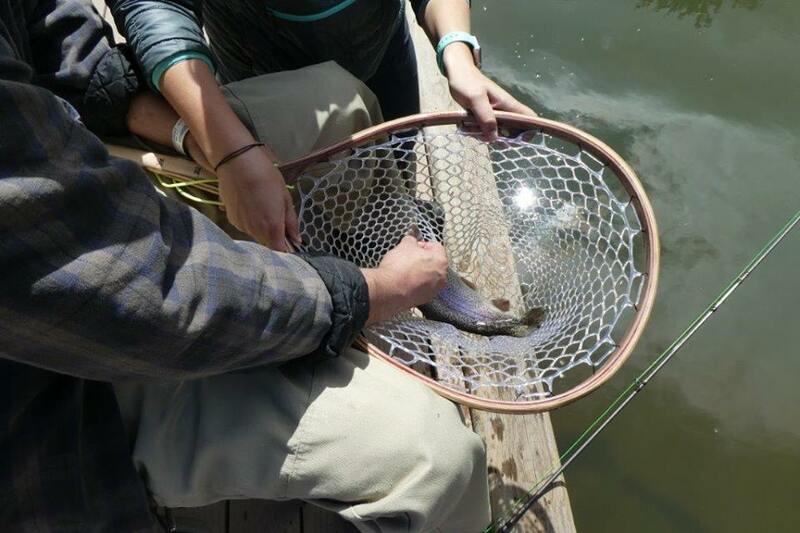 By high school he was an avid fly fisherman and he knew he would need to find a way to work in field that combined his love for the outdoors, science, and other people. 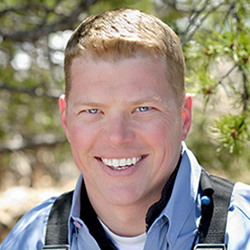 Ethan earned his bachelor’s degree from the University of Northern Colorado. Allan Smith is the founder and owner of multiple enterprises with activities in several international locations. As an independent management consultant of his own firm, Invictus Management Consulting Ltd. he has directed the conception and successful completion of several multi-million-dollar luxury residential and commercial development projects. Prior to founding Invictus, Allan was Director of Gaming and Hospitality Division for a large Las Vegas based general contractor. Allan has also served in several senior management positions for other general contracting, development and construction management firms in Las Vegas and Colorado, completing projects in commercial, residential, healthcare, and educational markets for both public and private clientele. Russell was introduced to the world of hunting at the young age of 5 years old when his father gave him his first BB gun. He grew up exploring the ranch, tracking game, and learning about the outdoors. That love for hunting and the outdoors has become a career for the past 14 years. 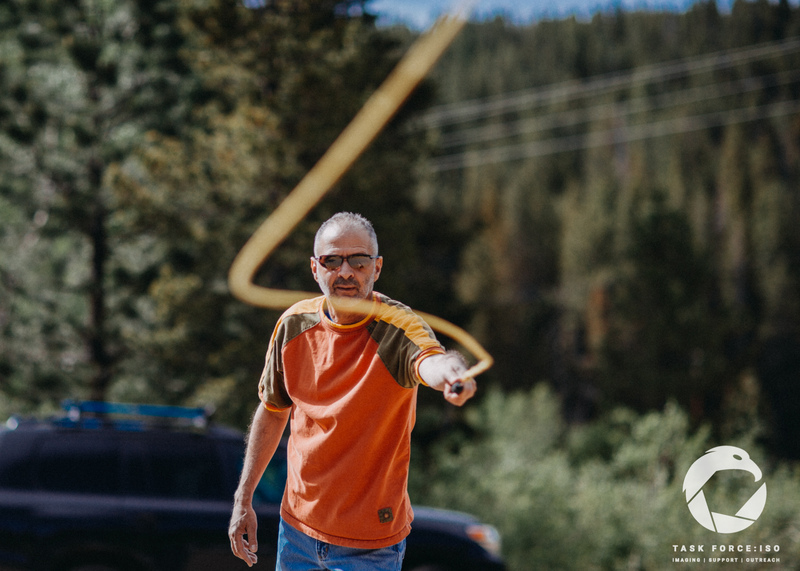 Along with his family he runs Colorado’s premier dog training facility and upland bird club. 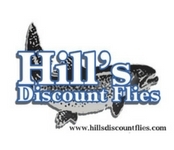 He is also a licensed outfitter and spends his falls guiding big game hunts in eastern Colorado. 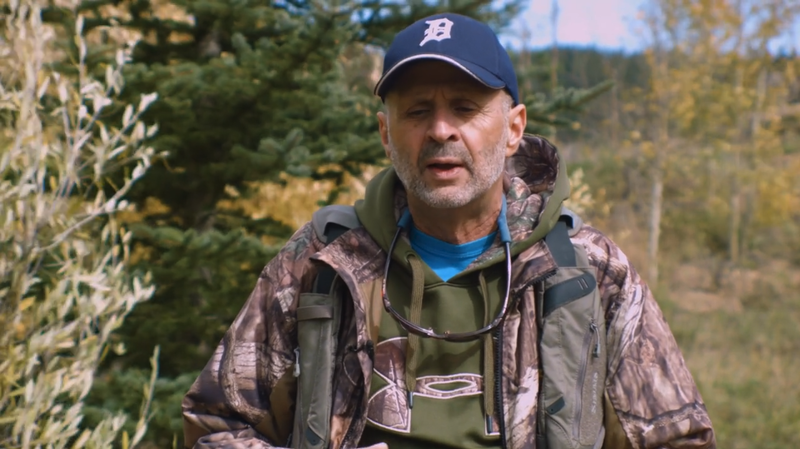 While hunting is his livelihood he’s passionate about educating and encouraging new hunters. 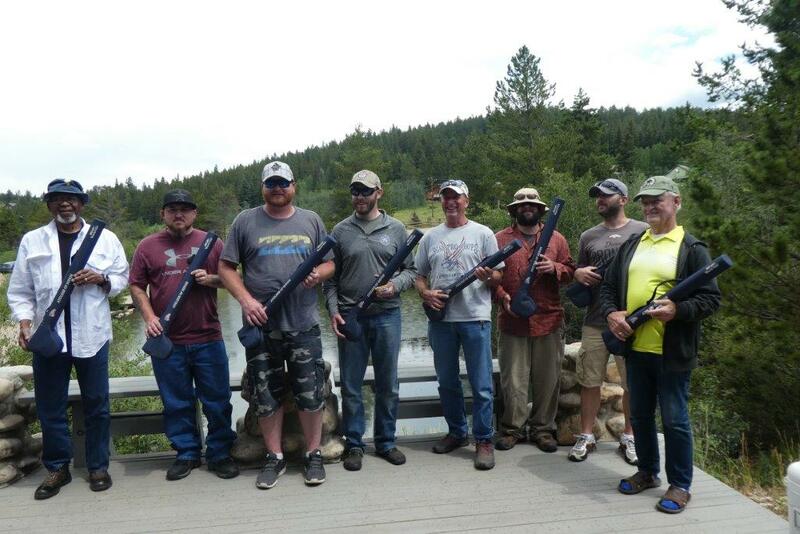 He teaches hunter safety for the state of Colorado and has sponsored youth hunting events for several organizations. 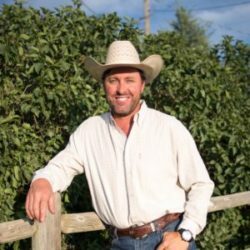 He believes that today’s modern sportsman needs to be an advocate for hunter’s rights, conservation and involved in education in order to continue our hunting heritage. Chuck Williamson, served 17 years in the Army and was medically retired as a Sergeant First Class. Chuck was first deployed as a tank driver during Operation Desert Storm. For the first 9 years of service, he was an Armor Crewman and held every position on a tank: loader, driver, gunner and tank commander. During this time, he held several leadership positions, to include Head Cadre – instructor for the Individual Readiness Training for Bosnia rotations, as well as Platoon Sergeant in charge of 15 soldiers where he held hand receipts and was responsible for equipment in excess of 3 million dollars. Chuck conducted Recruiting Duty and eventually retired from the Army as a Recruiting Station Commander, in charge of 6 recruiters. Chuck received many awards, badges and ribbons, to include the following: Meritorious Service Medal, Army Commendation Medal (2), Army Achievement Medal (4), Army Superior Unit Award, Army Good Conduct Medal (5), National Defense Service Medal (2), South West Asia Service Medal with Bronze Service Star, Global War on Terrorism Service Medal, Humanitarian Service Medal, and Army Recruiter Badge – gold with 3 Sapphire Achievement Stars and Recruiter of Excellence Award from the Chief of Staff of the US Army. He also achieved the Recruiter Ring and the Glenn E. Morrell Medallion. 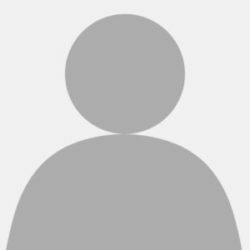 Chuck has been involved with the SCIHop program since 2013. In 2016 and 2017, he volunteered with Rocky Mountain Hyperbaric Institute (HBOT), helping with the Vets going thru their program. He also helped coordinate with the vets to attend various SCIHop events. 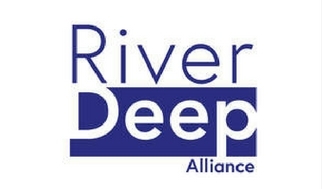 Since 2017, he has been volunteering with SCIHop and River Deep. Chuck is the the lead, point person for the SCIHop and River Deep Vet-to-Vet Mentor Program and serves as Development Coordinator. We are always looking for support through donations, volunteers, or by just spreading the word. Please click the Donate button below. 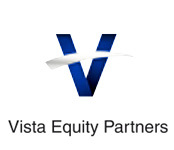 You will be routed to the QGiv website where you can use your credit card to contribute to this program. Want to volunteer? 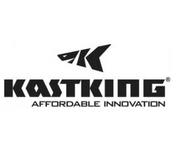 Shoot us an EMAIL we are happy to answer any questions you may have and we look forward to speaking with you. Please allow up to 48 hours for an email reply. 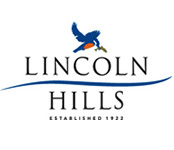 For up to date info on happenings at Lincoln Hills, see out Events section and follow us on FACEBOOK. 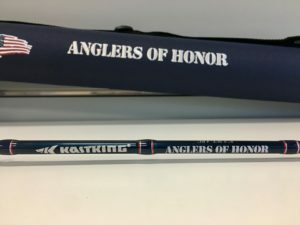 Reward yourself or your Hero with a beautiful Anglers of Honor "Defender Series" fly rod combo, manufactured by KASTKING. 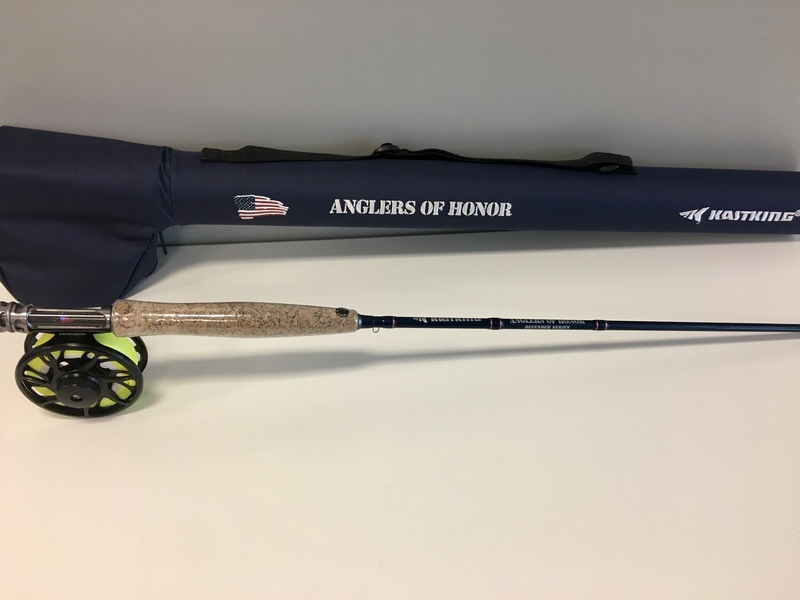 This 9' 5WT (4PC) rod designed for new or experienced anglers, features Anglers of Honor "Defender" Series logos, red, white and blue ferrules, a cork composite handle and an aluminum alloy reel...and it comes with a case! A portion of your donation will go towards supporting outings, activities and support services that enable individuals with disabilities to re-acclimate and re-engage in life. For $100 you will receive this one-of-a-kind, signature combo! 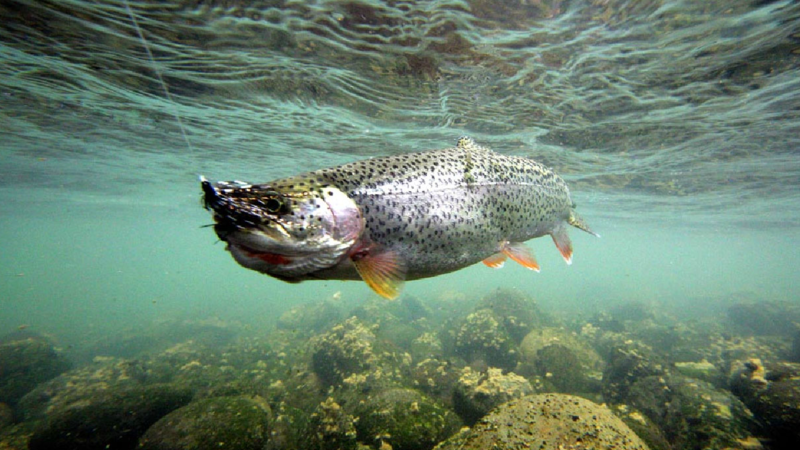 If you're not an angler, you can always donate to support our programs HERE!